9: What Kind of Friend Are You? Digital Dragons by Yokohama International School is licensed under a Creative Commons Attribution-NonCommercial-ShareAlike 3.0 Unported License. Welcome to the YIS Digital Dragons! As part of our Connected Learning Community, we are highlighting the importance of balance, safety and responsible behavior online (generally called “Digital Citizenship“) through a variety of events, lessons and activities. Our online actions and decisions create a positive online presence which demonstrates and reflects our school values. 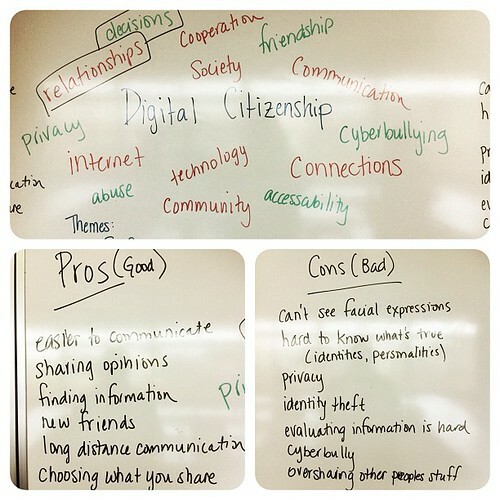 These actions and decisions can be referred to as Digital Citizenship. You can find all of our lesson plans and resources for our Digital Citizenship curriculum on the curriculum page. In addition to our Digital Citizenship curriculum, we host a number of events, like our upcoming Digital Citizenship Week, throughout the year to highlight our school values.